enough, we already have a glimpse of the world first 5G smartphone. speed of more than 1 gigabit per second. 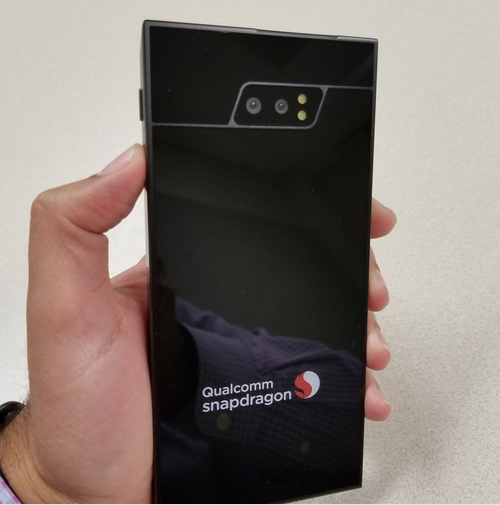 Snapdragon appears towards the bottom of the phone. their 5G mmWave performance within the constraints of a mobile form factor. 5G? when we are still struggling with 4G? 1 gigabit per second? wow! This is wonderful. Nigeria? …..lol. Nigeria and most 3rd world countries are not ready for 5G. The 3G and 4G strength is still not up to standard. Well, it's a good one but let's focus on our 3g and 4g here. When I see things like this I become speechless for my country.